Why is My Puppy Coughing? The sound of a young puppy gagging or coughing is hard to listen to especially if you are a new dog owner. It sounds scary, and it is often hard to determine whether it is a symptom of an underlying disease or a puppy trying to clear congestion from his throat from something he just inhaled. In this article, I will break down for you the many reasons for puppy coughing. Know that there are other coughs heard in adult and senior dogs, but those will be a subject for another article. Coughing, Sneezing or Snorting are all bodily reactions that may sound similar, but there is a difference. The good news is many puppy coughs are simple reactions to environmental stimuli, but some are symptoms of something more serious. Before you rush off to the vet, read this article to help you determine whether an emergency visit to the vet hospital is warranted or whether the next available vet appointment will do. Better yet, maybe it is something you can manage yourself at home. Any a cough that is accompanied by difficulty or rapid breathing, discharge from eyes or nose, one producing a bloody sputum or one that lasts longer than a few days should be seen by a vet. If the puppy is showing other symptoms such as a runny nose, sneezing, lack of appetite or lethargy, there is likely something else going on, and you will need the assistance of a vet. We’ll discuss this more below. The information here is not meant to substitute for veterinary advice or care. Dogs may cough for many reasons. As I said before, some are minor, but many are not. Whether they are fleeting symptoms or signs of acute illness, all have one thing in common: An irritation or inflammation of the airways. When puppies cough, it is usually the result of something happening in their upper respiratory tract. More severe problems find their way into the lungs or lower respirary tract. Inhaling irritants such as seeds, fumes, cigarette smoke, strong chemicals or household cleaners, dust, perfume, or other tiny particles found in the environment. Not all of these reasons may be present in a puppy such as congestive heart failure, tumors, or chronic Bronchitis which are seen in older dogs. There are about five different types of coughing noises, and the kind of a cough helps vets determine a diagnosis. A honking sound that hums like a goose: Collapsing trachea. If you suspect anything in the environment that might be causing the coughing, try to reduce or eliminate them as best as you can. The most common problem that may cause puppy coughing is Kennel Cough or Canine Infectious Tracheobronchitis. 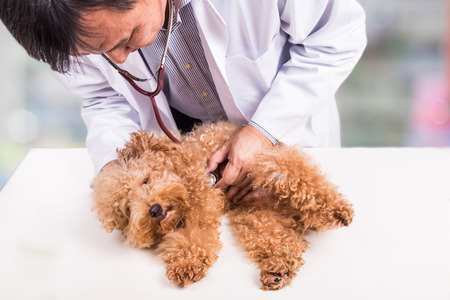 The disease is caused by not one but many microorganisms including Bordetella bronchiseptica, canine adenovirus, canine parainfluenza virus and mycoplasma spp. Symptoms include a dry hacking, honking cough, gagging, and retching. Other symptoms include discharge from eyes and nose. Sometimes lack of appetite and lethargy occur when not treated, and pneumonia can be a serious complication. A puppy’s first sets of shots often include vaccines for these microorganisms. It is not so much the germs as it is the stress and weakened or immature immune system that might bring on the condition. Symptoms appear about 3 to 4 days after exposure. Dogs typically pick up these germs in larger quantities by attending dog shows, in doggie day care, boarding facilities or near dogs that may be harboring the bacteria. Treatment options depend on the severity of the problem. In minor cases, proper nutrition, hydration, rest, and isolation may be all that is necessary. Antibiotics may be prescribed if there is an underlying bacterial infection and other medicines may be needed to reduce inflammation and coughing. Dr. Tillman, a holistic vet, also recommends the use of a vaporizer and the addition of Vitamin E and C.
You may think that Distemper and Rabies in dogs is a thing of the past, but Distemper can and still occurs and can affect an entire kennel of puppies or dogs. It is a highly contagious diseas caused by the Canine Distemper Virus. Puppy Coughing is one of the symptoms, but other symptoms include fever and change in mood, lack of appetite and loss of energy. Some also have a clear nasal discharge. There is no cure, but a vaccine is available and should be part of the puppy’s vaccine protocol. Dogs can pick up the virus from other dogs or raccoons, coyotes and foxes. It is generally air-borne or travels through the air, but dogs can also become infected through direct contact with contaminated objects such as toys, bones or feces. Conventional treatments including fluid therapy and antibiotics for secondary infections will treat the symptoms but not kill the virus. Dog pneumonia usually does not occur in isolation but rather as a result of a bout with other upper respiratory illnesses, most commonly kennel cough. Other infectious organisms such as fungal, or protozoan, or bacterial may also be associated with infectious pneumonia. Puppy coughing, fever, lethargy, lack of appetite and a runny nose are all common symptoms. There is usually a productive cough, and the breathing sounds are harsh. Treatment normally consists of the administration of a broad-spectrum antibiotic along with supportive care. Many puppies with pneumonia require hospitalization so that fluids can be given, nebulizer treatments, and humidified oxygen therapy is available. Hypoglycemia can become a problem especially if the puppy does not eat. Some puppies with a severe case also lose their ability to regulate their body temperature, so much of the care of these very sick puppies revolves around treating the symptoms. The Canine flu is a highly infectious viral disease that can affect all dogs. It is a relatively new disease arising as a result of a cross-species transfer or a mutant strain of equine influence virus. Symptoms of the Canine flu may be mild to severe and often mimic those seen in dogs with a kennel cough. All dogs that are exposed to the disease become infected. Symptoms of the milder form of the illness include a persistent couth that does not respond to antibiotics or cough suppressants. Symptoms can last up to 21 days. More severe signs of the disease include high fever, nasal discharge, increased respiratory rate, and difficulty breathing. As many as 80% of dogs will have a mild form of this disease if exposed, but the rest many ends up with pneumonia. Most fatalities are in puppies and older dogs. Treatment is supportive and may include fluids and the use of humidifiers to improve breathing. Antibiotics and additional nutritional support may be necessary. Isolation is needed if you have more than one pet. As of this writing, a new vaccine is being developed and almost ready for market. Tracheal Collapse is most common in dogs that have short pushed in noses, the so called brachycephalic breeds. Small brachycephalic breeds include Boston Terriers, Brussels Griffith, French Bulldogs, Lhasa Apso, Pekingese, Pugs, and Shih Tzu. It can, however, affect other dogs as well. A combination of anatomical features may contribute to a collapsed trachea. Nostrils that are too small, elongated soft palate and narrowed trachea all restrict air flow making it difficult to breathe. In breeds where this is common, symptoms can appear as early as 12 weeks of age, but it can also affect older dogs that are obese. Symptoms include snoring, rapid respiratory rate, coughing, gaging, exhaustion after exercise, panting, noisy breathing, and even physical collapse. A cough sounds like a honking goose. Treatment is only started in brachycephalic breeds if symptoms are present. Treatment is system specific and may include the use of oxygen supplementation and the opening of the airway if the obstruction is present. The veterinarian will pass a tube called endotracheal tube through the back of the throat and into the trachea to open up the airways. They may also pass the tube through a small surgical opening directly into the windpipe (Tracheostomy). If it becomes a chronic problem, there are also surgical procedures that can be done to prevent breathing problems such as widening a narrow nostril (stenotic nares) or shortening an elongated palate. Sometimes allergies can lead to puppy coughing especially in young dogs 6 months to 2 years old. Things that may trigger an allergic reaction include environmental allergens such as dust, smoke, pollen or chemicals. Dog vaccines, dog food, and fleas are also common causes of allergies in dogs. Many dog allergies are manifested as skin or ear problems, but they can also present as coughing, runny eyes, scratching of the face and ears or irritation of one or both of the front legs and feet. If the dog has allergies to second hand cigarette smoke, puppy coughing is very possible and may lead to asthma. Canine valley fever or Coccidioidomycosis is caused by a fungus and affects the respiratory tract, skin skeleton, skin and covering of the heart. This condition is found mostly in dry, dusty parts of the Southwest United States, California, and Mexico. Coccidioidomycosis should not be confused with coccidiosis, a disease caused by a protozoan parasite. Dogs contract the disease when they inhale spores from the fungus, Coccidioides immitis and most forms are not dangerous. However, a severe form can affect the lungs and leads to pneumonia. Treatment can be lengthy, and reoccurrences are possible. In certain locales, this is a common cause of puppy coughing. 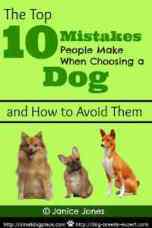 Here are two conditions that have a common cause and usually occur together in dogs, unlike humans. Pharyngitis is another name for a sore throat. Signs of a sore throat include fever, coughing, gagging, pain on swallowing, and loss of appetite. You may be able to see the back of the throat which will appear red. Dogs usually get the disease through interaction with young children that have a strept throat. If you have kids who are always getting strept, you may also want to consider treating your dog as it may be the dog that is harboring the bacteria. Treatment usually consists of a ten-day supply of a broad-spectrum antibiotic, fluid, and a soft diet. The vet may also prescribe a pain killer if the dog appears to be in some pain. The best way to know if your puppy coughing is a big concern is to make an appointment with your veterinarian. 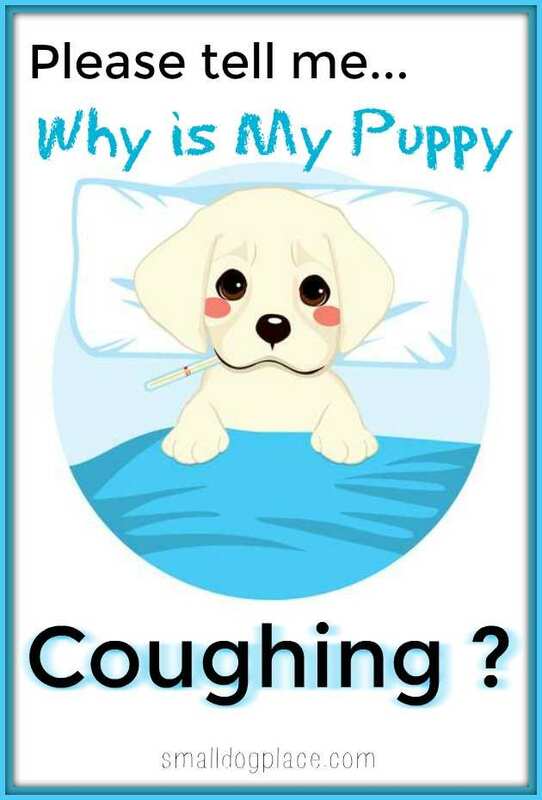 Before the visit, try to determine how frequently the puppy is coughing, and whether coughing occurs when the puppy is sitting, laying down, exercising or standing. Observe to see if you can witness other symptoms to discuss and if you have tried anything at home before the visit. 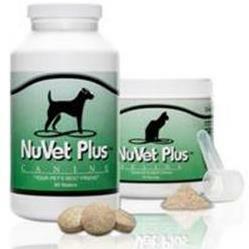 Small Dog Place does not recommend over the counter medications but some may be effective for short term treatment.